“Engineering is in our DNA”. Jarom is the founder and President of JR-Tech and is an IT Services leader helping businesses in the Inland Empire for over 15 years. Jarom has cultivated a solution oriented IT firm where each project is carefully engineered to solve the needs of small and medium businesses. 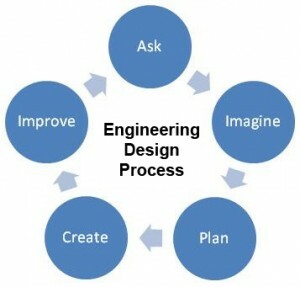 JR-Tech is modeled after the ‘Engineering Design Process’. Jarom has been in the IT industry for over 20 years, has been making things since early childhood, firmly believes in learning through doing, and is a member of the Maker Movement community. 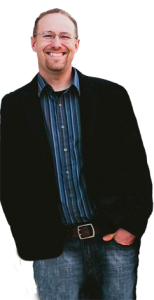 He founded JR-Tech to bring his engineering passion, IT experience, and enterprise-level solutions to the SMB market. He has certifications from Microsoft, CompTIA, and Impact. Jarom is a published engineer and has an Engineering degree from California State Polytechnic University, Pomona in Mechanical and Manufacturing Technology. This expertise gives Jarom a unique perspective on how technology works and benefits organizations that engineer, produce, manufacture, assemble, construct, or design products. He is able to speak their language, understand their processes, and can demonstrate how technology will improve all aspects of their work. Jarom has a hands-on approach to accomplishing technological objectives, and frequently works with clients on their machinery to improve their processes and keep their systems running at peak performance. 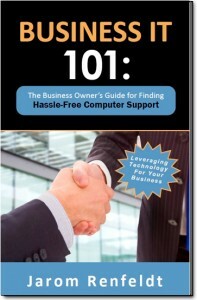 Jarom wrote the book, ‘Business IT 101: the business owner’s guide for finding hassle-free computer support’ where he educates business owners to leverage technology for the competitive advantage and growth of their business. Professionally, Jarom is a member of top IT Associations, he is active in both local and national IT Communities, and JR-Tech is a certified partner* of top-tier hardware and software vendors. Personally, Jarom has been a Boy Scout leader and mentor for 10 years. He volunteers with HOPE (Helping Our People in Elsinore), and is active in the community through church and civic service. Jarom focuses on each client personally to ensure that as their trusted advisor JR-Tech is educating and helping them achieve their technological goals. Jarom believes that top-tier IT support requires transparency, accountability, credibility, and fast and friendly service. Jarom is an action sports enthusiast, loves the outdoors, and above all enjoys spending time with his wife and four boys.